A Lod court on Thursday sentenced Mujahad A’azi, one of the murderers of Israeli farmer David Bar Kappara, Hy”d, to life in prison. A’azi was the second Arab terrorist to be sentenced in the case; last month, his cousin, Ala’a A’azi, was sentenced to 18 years in prison for acting as an accomplice in the terrorist murder. 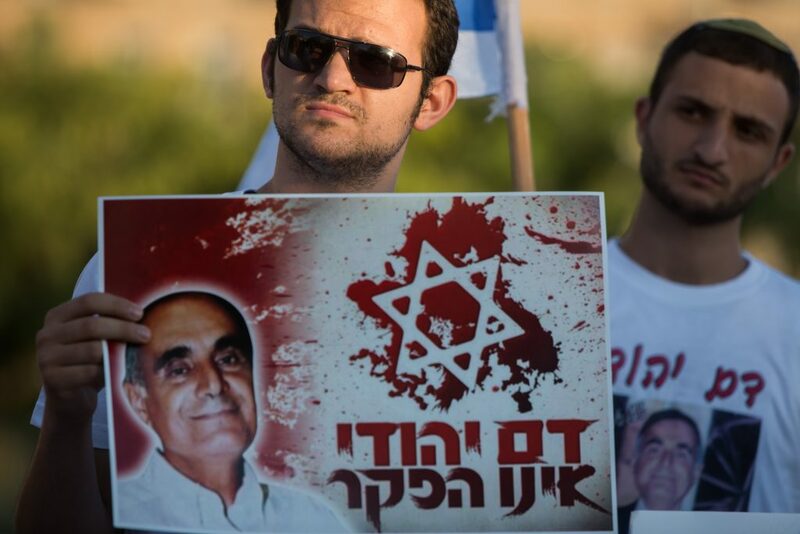 Bar Kapara was found bloodied and beaten in an agricultural field between Pedaya and Carmei Yosef in central Israel on June 23, 2015. He was taken by rescue workers to the Assaf Harofeh Hospital in Tzrifin, where he was niftar a short time later. According to the indictment, the two A’azis, who were in Israel illegally, with Mujahad telling his cousin that he intended to collect money he claimed Bar Kappara owed him. The two approached the victim early in the morning of the murder, and observed him selling grapes from his vineyard to a third party. Mujahad, who had indeed worked for Bar Kappara, believed that the farmer would take the money to his safe, as he preferred doing business in cash. The two then decided to rob the victim, and they approached Bar Kappara, demanding that he release the cash. Bar Kappara refused, and the two began beating him, and dumped insecticide over his body. Bar Kappara passed out, and the two searched him for cash – but found only a set of keys. They covered up his unconscious body, all the while continuing to beat him, and finally fled.